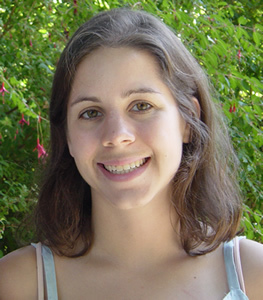 Mary Leah Braun was a remarkable young woman who worked with Frontier Group and other organizations in The Public Interest Network before her untimely death in April 2006. The Mary Leah Braun Fellowship was dedicated in her honor in the summer of 2007. Mary grew up in Colorado and graduated from the University of Pennsylvania in 2003. After graduation, Mary took a job as a research analyst with the Philadelphia Tax Reform Commission, where she politely but persistently butted heads with lawyers twice her age as the commission studied recommendations for tax policy in the city. Seeking a more direct role in making social change, she joined the New Voters Project in 2004, working to register young voters in the state of Wisconsin. Once the election was over, Mary was invited to become a research associate with Frontier Group, where she distinguished herself as a smart, shrewd and able writer and researcher. During her short time with The Public Interest Network, Mary revealed herself to be an extraordinary individual. She was blessed with a laser-sharp intellect and an innate strategic sense, but her greatest gift was that she committed her talents unreservedly to social change. She recognized the value of The Public Interest Network’s work in the world, and she believed deeply (and articulated beautifully) that the problems we work on demand of each of us nothing less than our personal best. She was, simply, an inspiration. In recognition of Mary’s life and work, The Public Interest Network endowed the Mary Leah Braun Fellowship in the summer of 2007. The Mary Leah Braun Fellowship is an honor awarded to one member of the first-year staff of the fellowship programs of U.S. PIRG and Environment America who over the course of their first year on staff has demonstrated qualities that evoke Mary’s passion, hard work and spirit. Colleen McLoughlin is a campaign organizer with Impact. Colleen graduated from the University of Hartford with a Bachelor of Arts in Political Science and Rhetoric and Professional Writing in 2015. Colleen has been described by her colleagues as a “a force of nature” for her enthusiasm and determination to achieve social change. In 2015, Colleen ran a local solar campaign in Georgia. Her work culminated in the launch of Solarize Athens, a program which tripled the amount of residential solar in Athens. In 2016, Colleen crisscrossed the state to build support for transit, walking, and biking, by organizing meetings with state Department of Transportation officials and sitting them down with local stakeholders ranging from local elected officials to advocates for the disabled. Her work in Colorado has brought citizens together, while generating widespread media coverage. Pam joined The Public Interest Network as part of Impact’s first class in August 2014, based in DC. She has worked on U.S. PIRG’s campaign to stop the overuse of antibiotics on factory farms; her high visibility organizing in the DC area was instrumental in helping to convince McDonald’s to start serving chicken raised without the routine use of antibiotics. She has also worked on Environment America’s Clean Water for America campaign in College Park and is now working to get Howard County, Maryland, to establish a small donor empowerment program. Hailing from the suburbs of Philadelphia, she graduated from Wake Forest University. She has an infectious enthusiasm about organizing and tackling the big problems that we face. Whether it’s college students that she is recruiting, people at the door, community activists, elected officials or her colleagues, Pam is able to connect with people and inspire them to do more. Her optimism and her deeply held belief that individuals can make a difference if they work together, make her a joy to work with and a powerful agent for social change. Update (2017): Pam is the Director of Donor Relations at The Public Interest Network. Elowyn is a campaign organizer with The Public Interest Network in Pennsylvania. She graduated from Swarthmore College in 2013 with a degree in political science. Elowyn has been a leader for PennEnvironment and for TPIN since joining the team in August 2013, focused on stopping global warming and promoting clean energy sources. In her first year she was instrumental in convincing the Philadelphia City Council to pass a far-reaching resolution promoting solar power in the city. She organized dozens of religious leaders and institutions to call on Senator Bob Casey to support the EPA’s Clean Power Plan. In 2015, she is well on her way to getting 50 communities across the state to join PennEnvironment’s Communities for Climate Action program. Elowyn is an excellent fundraiser. She is also a gifted manager of people: working on the Community Voters Project in the fall of 2014, she helped run an office to register people to vote. The office exceeded its performance goals, ultimately registering 22,000 people – the highest number of any CVP office. Elowyn has impressed colleagues, coalition members and opponents with her intelligence, fearlessness and respectful persistence. Her calm, friendly presence and deep commitment to organizing inspire those around her. Update (2017): Elowyn is the Field Director for PennEnvironment. Peter has been working as a Program Associate at New Jersey PIRG (NJPIRG) since the summer of 2012. He works on democracy issues, tax and budget policy, and consumer protection at NJPIRG. Peter graduated from Northwestern University with a degree in Political Science, International Studies, Ethics, and French. Right from his start at NJPIRG, Peter demonstrated a dedication and talent for making social change that his colleagues find inspiring. Within his first few weeks on board, Peter had organized a network of small farmers and produced several op-eds in support of NJPIRG’s campaign to end wasteful agriculture subsidies. Since then, Peter has led NJPIRG’s campaign work to improve democracy. He helped pass resolutions protesting the Supreme Court’s decision in Citizens United in seven New Jersey municipalities—including the City of Newark and Essex County—as well as through the State Senate and Assembly. In addition, he has helped immeasurably to build NJPIRG’s student chapters, recruiting and training students to be stronger leaders on campus and setting an example of inexhaustible and (at the same time) charming persistence. According to Peter’s staff director, “Peter’s tireless work ethic and endless selflessness are truly dazzling. It’s never about him, it’s always about what he can do to hit the goal, win the campaign, or build a stronger organization.” We look forward to working with Peter in the future. Update (2017): Peter is the state director for The Public Interest Network in Wisconsin. Megan Fitzpatrick is Environment New Jersey’s clean water associate. She grew up in Pennington, New Jersey, and graduated from Brown University in 2011 with a degree in Environmental Studies. Since her start at Environment New Jersey, Megan has been a passionate force for environmental protection in her home state. With laser focus and heart, Megan has won top-flight media coverage for campaigns, taken on legislators when they had the facts wrong, built support among coalition groups and community members to help move decision makers, and convinced friends and strangers to get involved. Megan is now spearheading the Sustainable Jersey Shore campaign, working to build support for a post-hurricane rebuilding plan that takes into account the fragile local environment and the effects of global warming. A coworker says of Megan, “she is the ultimate team player, she has an incredible work ethic, and she’s not afraid to take charge.” We’re looking forward to her future. Update (2017): Megan is a member of The Public Interest Network's publications team. Dan Smith is the tax and budget policy associate with U.S. PIRG. Dan received a degree in history from Cornell University in 2010 before bringing his enthusiasm and leadership to U.S. PIRG as part of The Public Interest Network’s fellowship program. When Dan arrived in Washington, D.C., in 2010, he stepped into a key role leading U.S. PIRG’s work to expand high-speed rail, and immediately proved himself worthy of the challenge. Dan consistently and articulately advocated for the construction of clean, modern transportation alternatives with lawmakers, federal administration staff and the media, and earned the respect of seasoned advocates by bringing passion and a keen sense of strategy to the campaign for expanded high-speed rail. He has been just as effective in helping to build the public interest movement, excelling as a recruiter, canvasser and canvass director, and has been an all-around positive force for social change. Update (2017): Dan is the Senior Legislative Assistant at the Office of Congressman Lloyd Doggett. Alex Wall served as Environment America’s federal Clean Energy Program associate. He grew up in Pennsylvania and graduated from Northwestern University in 2009, joining Environment America’s staff shortly thereafter. Alex was a positive force within The Public Interest Network’s Fellowship program. He excelled at writing and research, skills he used in his first year to win media attention from the Los Angeles Times and other major outlets. He was also a talented coalition builder who helped establish Environment America’s position as a core member of the Home Star Coalition, a group of 2,000 organizations and businesses that work for energy efficiency. In addition to his tactical abilities, Alex always had a smile on his face, and his focus and optimism rubbed off on the people around him. Update (2012): After working as a media associate with Sierra Club, Alex joined the 4-person team that developed and managed social media for the President, Vice President, and First Lady during the 2012 presidential campaign. Update (2014): When the campaign wrapped up in 2013, Alex became the deputy director of online engagement at the White House. Update (2016): Alex is the Director of Social Media of Hillary for America. Shelley Vinyard worked as the Environmental Associate at Environment Michigan, where she built support for federal climate change legislation. She graduated from the University of Texas at Austin with a B.S. in Psychology and a B.A. in Sociology. While in college, she interned for Texas Interfaith Power & Light and was the Recruitment and Communications Director for Texas 4000 for Cancer, the longest annual charity bike ride in the world (from Austin to Anchorage). Shelley's dedication shone through in all her work, as much when she asked members of Congress to circulate a Dear Colleague letter as when she recruited a new canvasser. Shelley is professional, eager to learn, and holds herself to high standards. Her summer 2009 office was among the strongest in the nation, far exceeding its goals in the campaign to Repower America. In the fall of 2010, Shelley moved to Washington, D.C., where she currently works with Environment America to reduce the use of toxic chemicals. Update (2014): Shelley is now a campaign organizing director with The Public Interest Network's Impact program. Update (2017): Shelley is a Regional Director of State Offices with The Public Interest Network. Janine graduated from New York University in 2005 with a double major in political science and history. She started her nonprofit career as an intern with the Legal Aid Society in Queens, New York. After graduation, she assisted the New York State Capital Defender Office with a research study analyzing the effect of racial bias on capital punishment cases. Janine’s growing interest in environmental conservation led her to U.S. PIRG where she worked as assistant to the national director of organizational and programmatic development. Janine then worked with the Herring Alliance and the Cape Cod Commercial Hook Fishermen’s Association, where she built coalitions in Massachusetts to end over-fishing and rebuild collapsed fisheries. Janine brings enthusiasm to everything she does, inspiring her coworkers with her commitment and unquenchable spirit. Update (2011): After two years of work as a paralegal with the National Environmental Law Center, Janine is now attending law school at the University of California, Berkeley. She intends to use her education to bring lawsuits against illegal polluters. Update (2014): During her law school years, Janine clerked for the U.S. Department of Justice Environmental Enforcement Section, East Bay Community Law Center Eviction Defense Clinic, U.S Department of Justice Environment and Natural Resources Division, and Earthjustice. She graduated from law school in 2014 and is currently law clerk to Chief Judge Lippman of the New York Court of Appeals, the head judge of the state's highest court. Update (2017): Janine is an attorney with O'Melveny & Myers LLP.